But a recount is not automatic. If a machine recount ends with the two candidates separated by one-quarter of a percentage point or less, then a manual recount would take place. That’s a time-consuming process of manually counting the ballots. 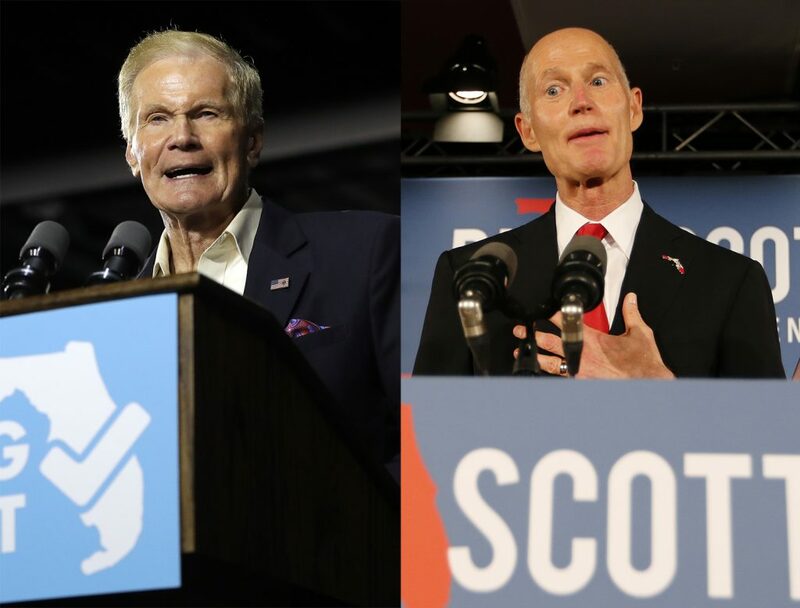 Scott claimed victory just before midnight on Tuesday, taking the stage to chants of “Senator Scott” with nearly all precincts counted and a comfortable 60,000 vote lead. However, the Associated Press had not called the race as of Wednesday morning. Bartenders had already packed up the Maker’s Mark, and TV crews broke down their cameras. The already quiet room emptied quickly, with Nelson staff out of sight as news spread of Nelson’s apparent fall. Whatever the outcome, it’s a fitting finish for a race that has been neck-and-neck since the first poll of 2018 dropped in early February. Nelson by one over Scott, it said. A statistical tie. In the nine months since, Nelson and Scott campaigned on health care and immigration, red tide and blue-green algae, Russian hacking and Puerto Rico recovery, Nelson’s missed Senate votes and Scott’s intertwined investments, a Navy hat and an empty suit. Well over $100 million was spent. The Associated Press has not yet called the Senate races in Florida or Arizona, where Republican Martha McSally leads Democrat Kyrsten Sinema by less than one percent, or just over 15,000 votes. Republicans currently hold 51 Senate seats, to the Democrats’ 46. A runoff special election will be held on Nov. 27 in Mississippi between Republican incumbent Cindy Hyde-Smith and Democratic challenger Mike Espy, as neither obtained the 50 percent required for a victory Tuesday.